It's Sunday, and I want to experiment with my cooking skill. After my internship began, I cook everyday and mostly there's nothing wrong with my cook. I love my cook and all of them are quite tasty IMO. But, today's cook is crazy enough for me. I often browse some random mac n cheese recipes over the internet. I don't have oven nor microwave here, so I try to use stove version. However, I'm an experimental person. So I decided to cook my own version based from 'my imagination' though I've read at glance about how to cook it first actually. First, the Edam Cheese doesn't melt easily. I already cut it into small block pieces but it only becomes smaller when I heat it. 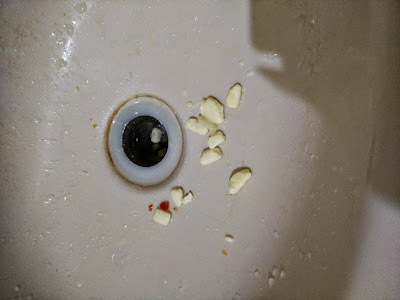 Second, after I bring it to boil and I think it's already cook, I pour it into bowl and add some parmesan cheese into it and mix it. The room temperature made it bit lumpy like a clot. I rinse my food with lemon water twice. 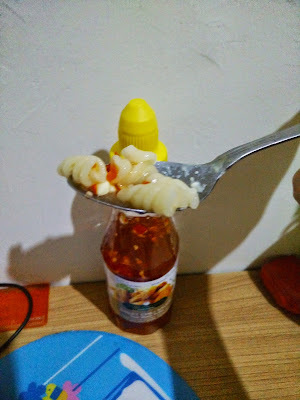 Kind of pouring the lemon water like a soup for my Mac n cheese, I mixed it until the cheesy cheese inside macaroni popped out and throw away the remaining lumpy cheese. Wait a minute, doesn't it make the food tasteless? 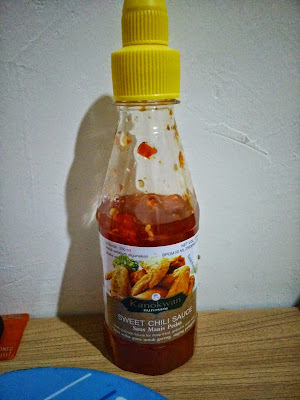 Yes, probably but I have an idea to put sweet chili sauce (Bangkok sauce) into it. Yes, I think mac n cheese just doesn't suitable enough for my tongue. Well, I might change that thought later but right now I won't bother to make other mac n cheese anymore. 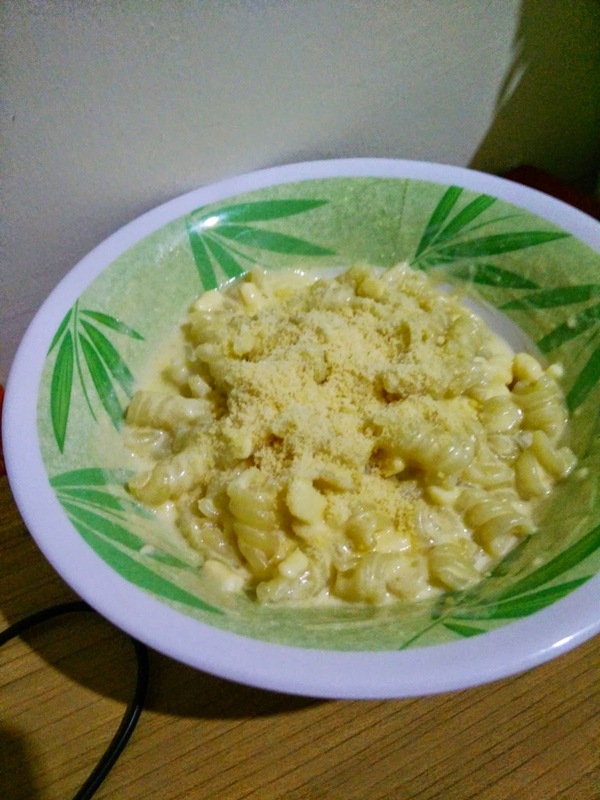 The Bangkok sauce has made my disaster mac n cheese better and I just think why don't I make mac n sweet sauce instead of cheese? I bet it'll be taste better for asian tongue :p.
Regarding the cheese, may be I 'll give that to my mom when she's back from Guang Zhou. She will know how to use it well. Seriously, I think cheese is good but I think I'll stick mozarella only (this is excepetional), mozarella in the pizza is hilarious and taste so good also for cheese stick version. Why you share your failed recipe?